I didn’t post about the day yesterday because we were just to pooped to do anything last night except make a delicious spinach salad with goat cheese, hazelnuts, garlic croutons and smoked salmon. We ate the salad watching “Dial M for Murder,” a fun Alfred Hitchcock movie and then off to bed. No matter what my friend Susie and I have been doing, the weather has been absolutely gorgeous. The blossoming trees are all out here. Magnolias, dogwoods, redbuds, cherries, you name it. They are in full bloom. Such a treat for the eyes having come from Maine where things have not yet been coaxed out by warm weather and sun. I may be surprised when I get home on Monday if they have been having the same weather we’ve enjoyed here this weekend. 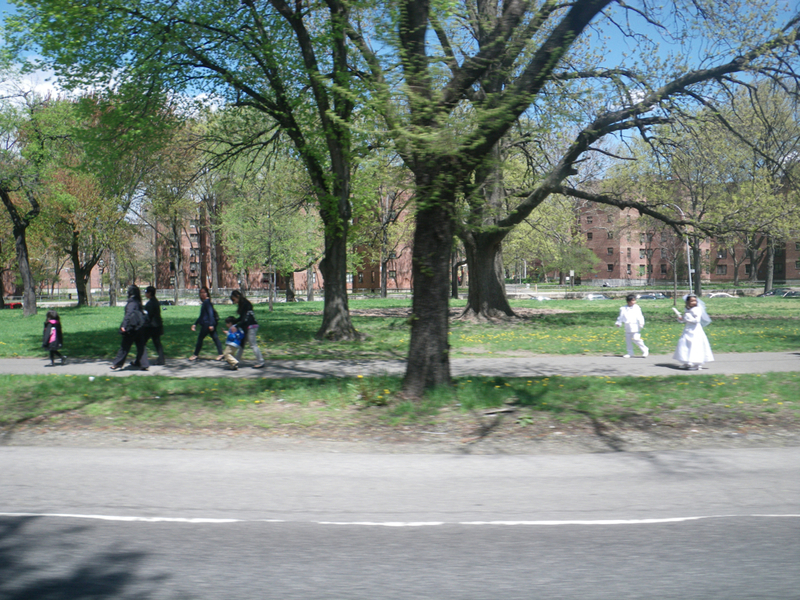 As we drove into Arthur Avenue yesterday, people were out and about everywhere. A sunny Saturday is no day to spend inside. 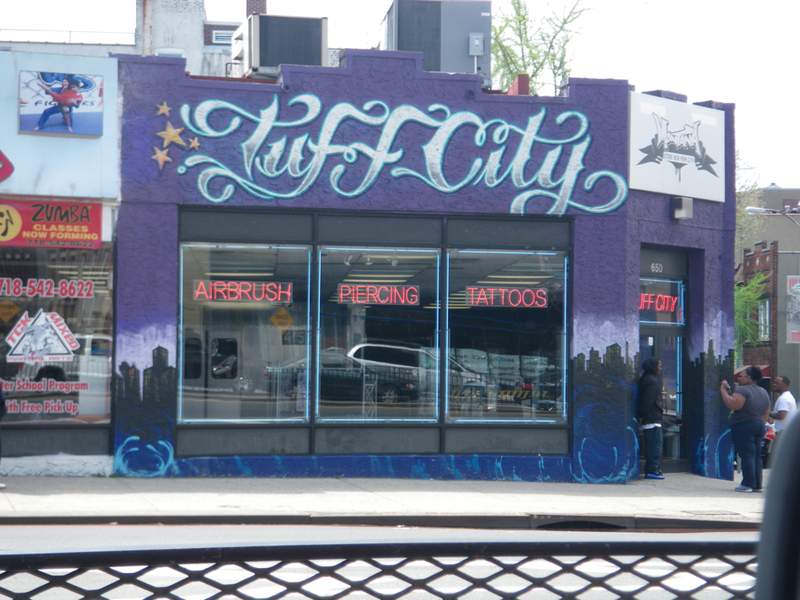 We stopped here to get little “BFF” tattoos. 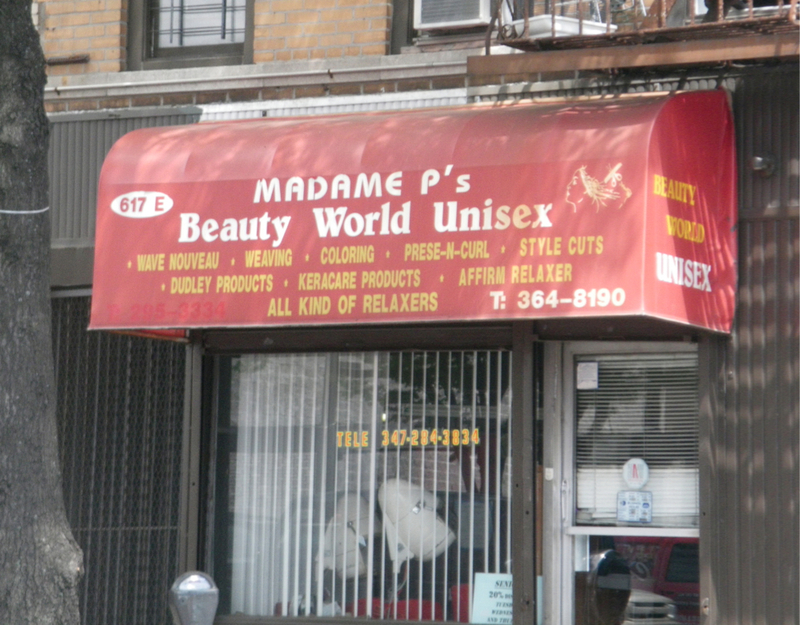 We noted where to get our hair done on the way home. Perhaps a wave nouveau? 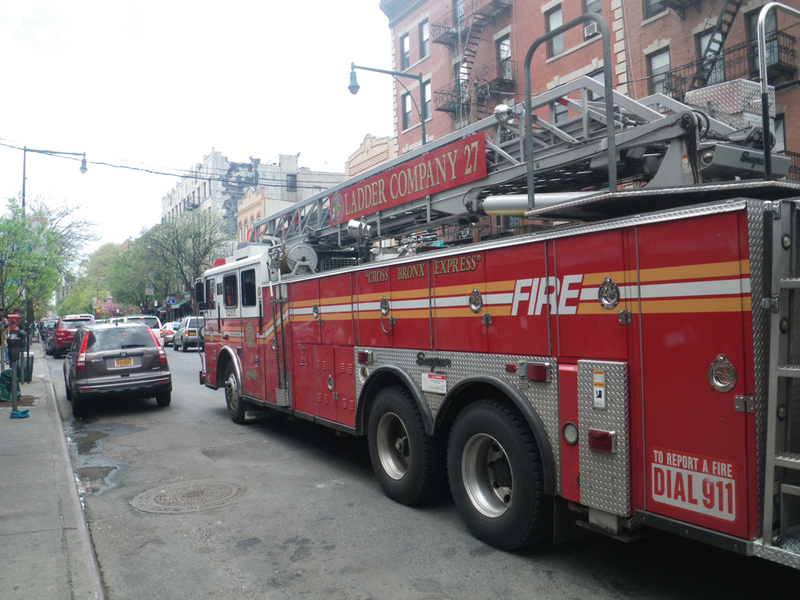 At lunchtime on Arthur Ave. the fire trucks double park while the firemen pick up their lunch. 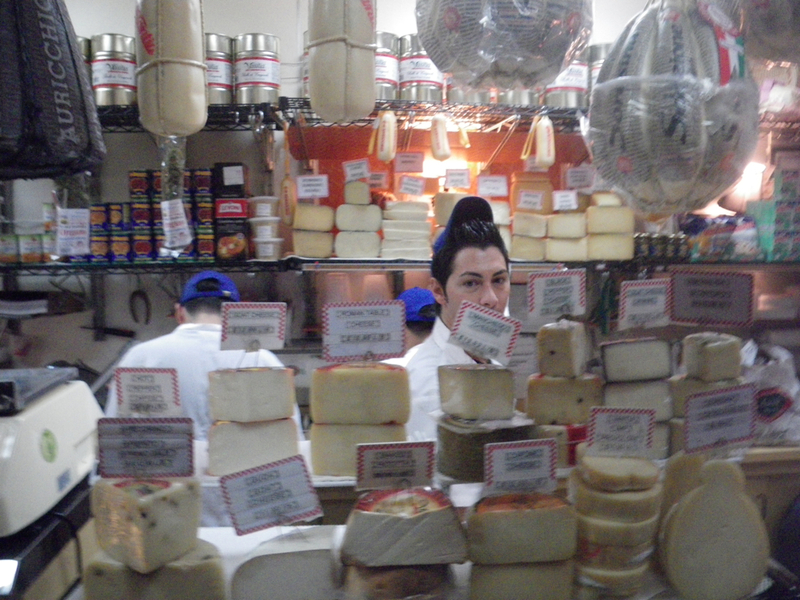 Our first stop, Cassa Della Mozzerella where I picked up some fresh and smoked mozz., some speck, and some parmesan. Yum. 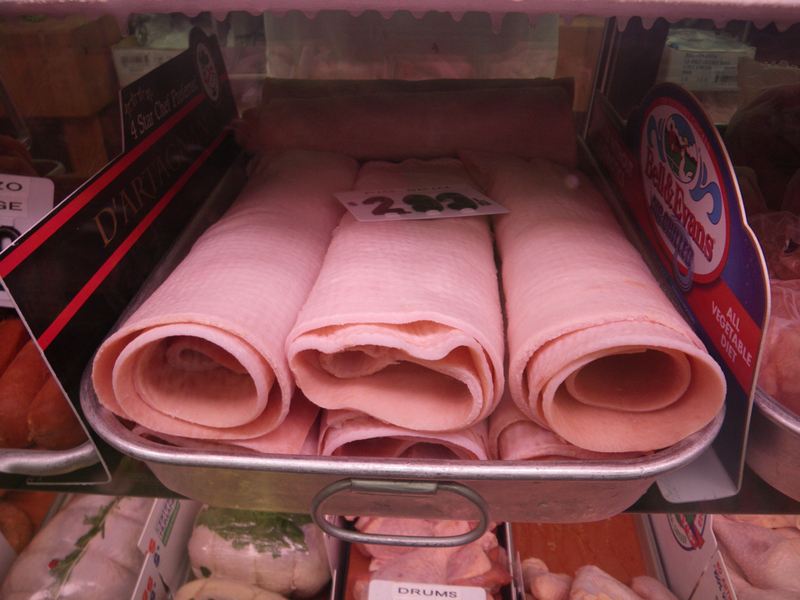 Then on to Vincent’s, the butcher shop where you can buy just about anything. We bought lamb sausage $4.99 lb, etc. etc. Great prices, great service, and if I wanted to pick up pig skin, I could have. We went on to the bakery, Morrone, for little cannolis, a sandwich at the Arthur Ave market, and got back in the car to drive into the city. Susie had a haircut appointment and then we were going to the Museum of Arts and Design. The drive is where the day became complicated. A series of wrong turns, saved by changing the appointment time, then sabotaged by traffic and unexpected street fairs, made for a stressful drive on an otherwise beautiful day. Susie missed both hair appointments and drove around for quite a lot of time looking for parking. Garages, on Saturday, cost $28 for 2 hours. 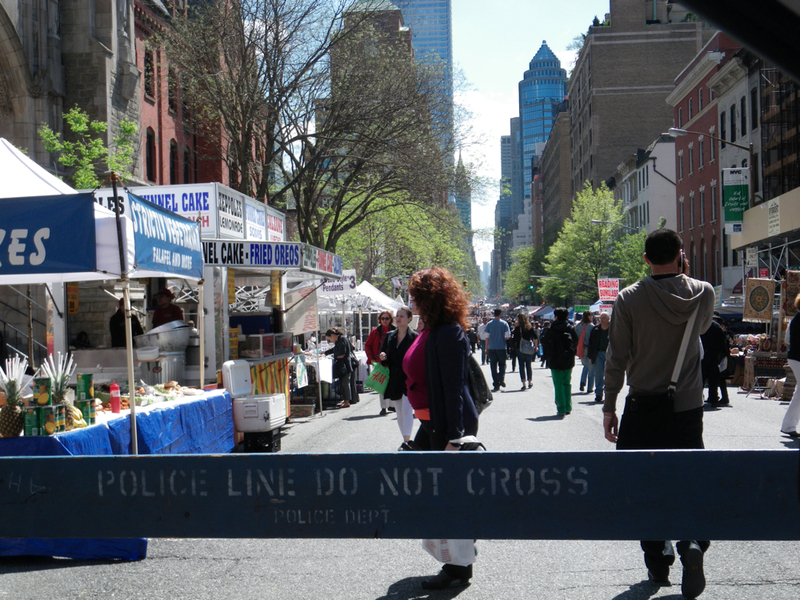 Once we found a spot on 68th St. we booked it down Broadway to Columbus Circle and finally went in the MAD. 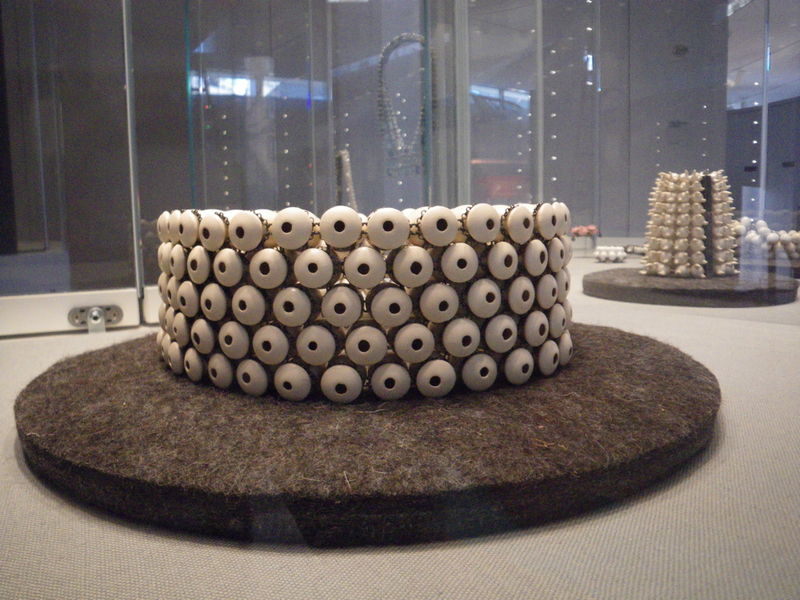 One of the exhibitions was ceramic body adornments like this necklace. 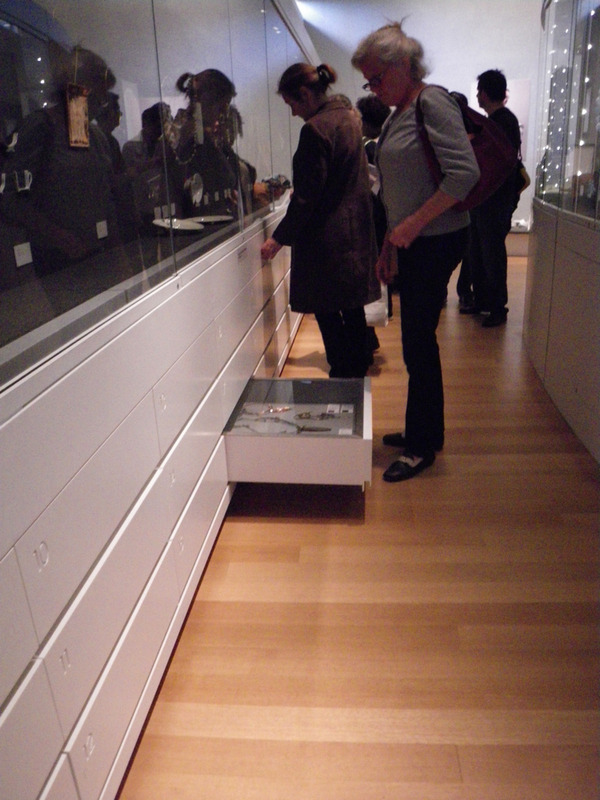 What I really wanted to see was the museum’s permanent collection of jewelry. I’m not sure if they are always displayed like this, but for this visit the collection was stored in drawers below the current ceramic exhibit. To be tired and have to bend over or get up and down to look at drawers of work, that were poorly lit, seemed like a continuation of the challenging trip after we left Arthur Ave. I was too tired for this, but I did it anyway. This is what I came for. 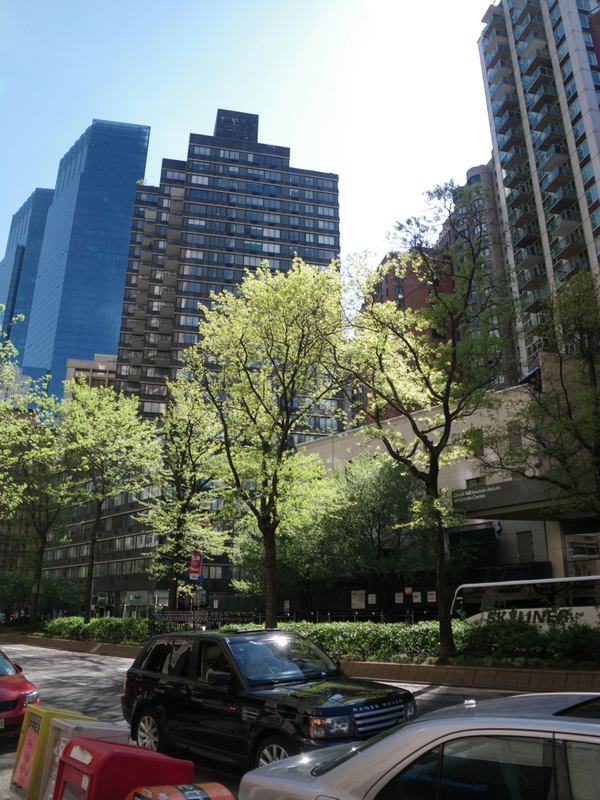 No matter how stressful our afternoon was, it was still Manhattan wearing her spring finest. A beautiful beautiful day. what does one do with pigskin, besides make footballs, i wonder? sounds like one long, but beautiful day! I was wondering the same thing! I forgot to ask. Wow, what a wonderful, full day! Sounds heavenly! It was a beautiful day. Just too bad Susie missed out on her haircut. Great Day. The spinach salad reminded me a little of Cleonice..as did Arthur Ave. As in “Chicken Arthur Avenue” on their menu. Did you really get tattoos? Dare I ask where? Happy May Day!xoxo Sunny here and 60..just saw a yellow bellied sap sucker! Had to look him up in the book! He was pecking away on the porch rail..loudly too. I’ve never noticed Chicken Arthur Avenue on the Cleonice menu, but that’s probably because I just can’t get past the lamb burger and their spinach salad. Our salad was definitely a take off on theirs. Only we used smoked salmon instead of bacon. Yellow bellied sap sucker! Cool! I’ve seen them on the island in the fall, but not in the spring. Score one for you!